For the first time the system Okinawa goju-ryu has appeared in Moldova in 1989, after the first seminar which was lead by Morio Higaonna Sensei on the territory of former Soviet Union. Okinawa Goju-ryu Karate-do Federation of Moldova as the public organization, has been created on September, 22nd, 1994 under direction of Victor Panasiuc. 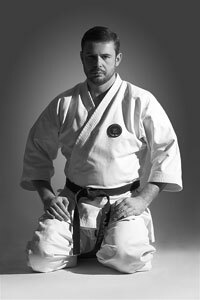 The federation is the full member of Okinawa Goju-ryu Karate-do Federation - I.O.G.K.F., headed by the keeper of traditions of Okinawa goju-ryu Morio Higaonna Sensei. During the existence the Federation on a regular basis organized republican both international competitions and tournaments. Competitions and tournaments the organization spent all under the motto " We speak drugs is not present! ". Carrying out of sports actions is only small part in employment by traditional fighting system. Basis of goju-ryu is made with traditional employment in the general and individual groups, with working off of receptions of a real duel and education of highly moral qualities on the basis of philosophy of east fighting arts. For this reason in groups of training to traditional system goju-ryu the age practising is unlimited. The federation spends employment with employees and bodyguards of power structures - special troops of the Ministry of Justice and security agencies. Their preparation is spent under the special program of training which is used in special divisions of the Great Britain, the USA, the Republic of South Africa and Japan. The instructors of the Federation were invited for carrying out of employment to seminars of the International Association of Bodyguards, employees of protection of consulates of Israel on the CIS territory, employees of OPON of the Ministry of Internal Affairs. Also the group where employment are spent under the individual program for businessmen has been organized.